The Kremlin has denied US claims that Russia's nuclear- powered cruise missile with "unlimited" range crashed after only 35km. The weapon was one of a range of "invincible" nuclear arms announced by Vladimir Putin during a speech in March. "Since its range is unlimited, it can manoeuvre as long as you want," Mr Putin said. "For now, no one in the world has anything like this." The longest flight lasted two minutes and covered 35km, while the shortest ended only four seconds and 8km after launch, they said. CNN previously quoted a US official as saying the cruise missile had crashed during tests. Mr Putin's spokesman Dmitry Peskov denied the reports when asked yesterday. "Listen to the president of Russia, Vladimir Putin, and believe him," Mr Peskov said. After taking off with conventional fuel, the cruise missile is designed to be powered by a small nuclear reactor during flight. Although Mr Putin had said the nuclear unit had successfully powered up and "provided the necessary level of thrust," US intelligence claimed this component failed to start. Kremlin officials allegedly ordered the tests over objections from engineers that the weapon system was not ready. The US report did not mention the health or environmental impacts potentially caused by damages to the missile's reactor. 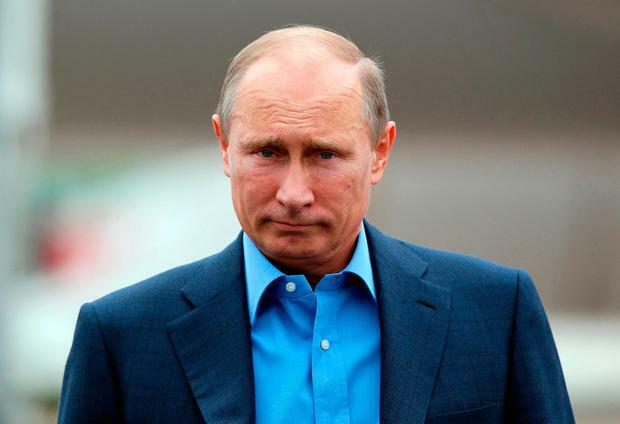 Mr Putin first touted the cruise missile during a sabre- rattling March speech in which he said Russia had developed "invincible" nuclear arms including a glider warhead, hypersonic missile and underwater drone. One of the accompanying computer animations showed warheads raining down on Florida. The "Dagger" hypersonic missiles Mr Putin mentioned were later displayed on the belly of MiG-31 jets roaring over Red Square during the annual Victory Day parade this month. The new nuclear weapons were designed to overcome US missile defence systems in countries like Poland and Romania, which "violate the strategic balance" between nuclear powers, he argued. "No one wanted to listen to us. Listen to us now," Mr Putin said. The speech raised fears of a Cold War-style arms race, as US President Donald Trump promised this year to expand the US nuclear arsenal.